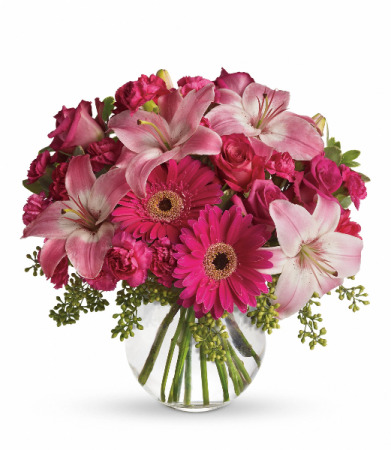 A beautiful arrangement for any occasion that includes a variety of pink flowers that include pink gerberas, pink roses and other seasonal flowers. 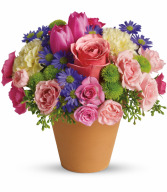 This springy bouquet in a pot is just the right arrangement to brighten someone's table or day. 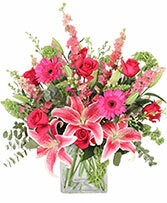 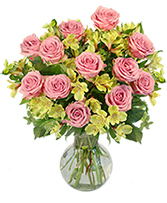 The bouquet includes spring flowers, roses, carnations, and tulips if available.